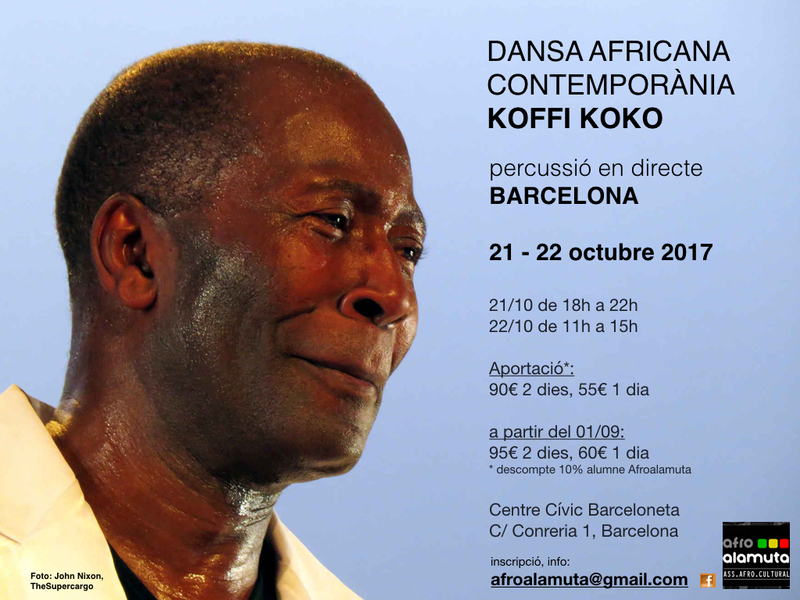 This week’s photo is a portrait of the dancer, Koffi Kôkô. In this picture Kôkô has just danced the part of le Baron (Samedi) in the ballet “Un tango avec le baron”. He danced with Kettly Nöel at the 2014 Gothenburg Dance and Theatre Festival. I originally published this photo on 20th May 2014, which was two days after the performance it commemorates. Usually I choose my photos of the week from among the photos I actually made or originally published during the equivalent week in the past. This week is an exception. The reason is that yesterday, out of the blue, I received an e-mail request from Barcelona. The Alamuta Afro-cultural Association are organising a course in African dance in October. Koffi Kôkô will be leading the course. Might they use my photo in their publicity? Of course they might! I went around for most of the rest of the day with a smile on my face. I felt like a real photographer. Koffi Kôkô comes from Benin. 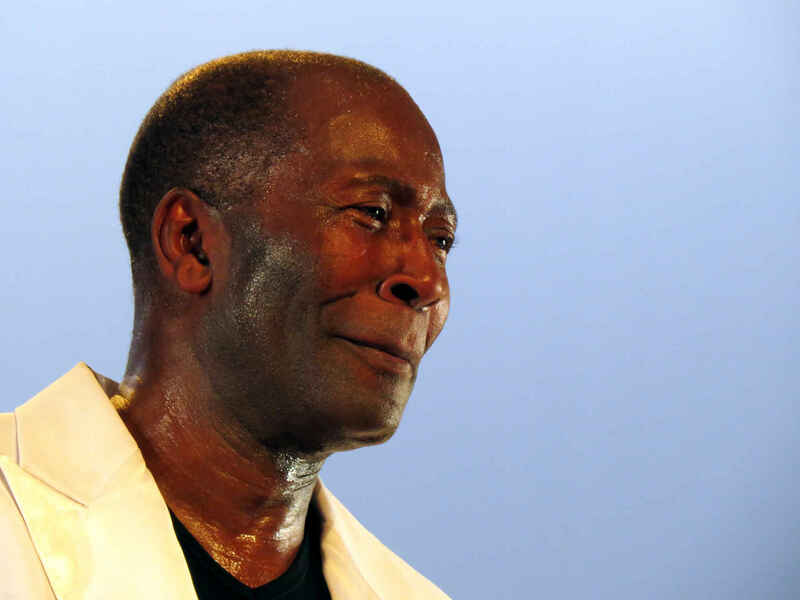 According to this article from CultureBase.net, he is “a voodoo priest and one of Africa’s most accomplished modern dancers, choreographers and dance-scholars”. He lives in Paris and divides his time between West Africa and Europe. The experience of the 2014 Gothenburg Dance and Theatre Festival also gave me material for an article At the Quill meditating on dance as an art form – Besides words. Here below is how AfroAlamuta used my photo. Wow! Congratulations – a beautiful picture! It must be months – perhaps years – since I looked at this photo before this week. Still, looking at it brings back very clear memories of the performance and the dancers.